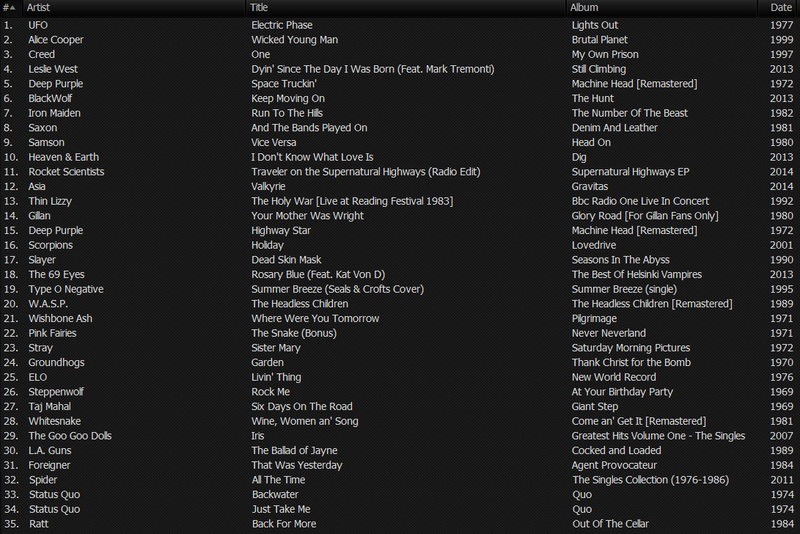 Last night’s playlist can be viewed here. Great reaction to the show last night. Thanks to you all for tuning in. Do keep spreading the word. We’re attracting more and more listeners each week, so we must be doing something right. If you’ve not done so already, make sure you check out the interviews we’ve done recently. Rocket Scientists’ keyboardist Erik Norlander, Joe Retta and Stuart Smith from Heaven & Earth are just two of the most recent one’s. Click here to view the full list. The interview with BlackWolf will be posted soon. More interviews are in the pipeline, so keep checking back here from time to time. Bex is back behind the mic on Thursday, April 3rd at 7pm with ‘Bex Rocks’, so expect to hear some serious riffage! Have a great weekend. I’ll see you in two weeks time.